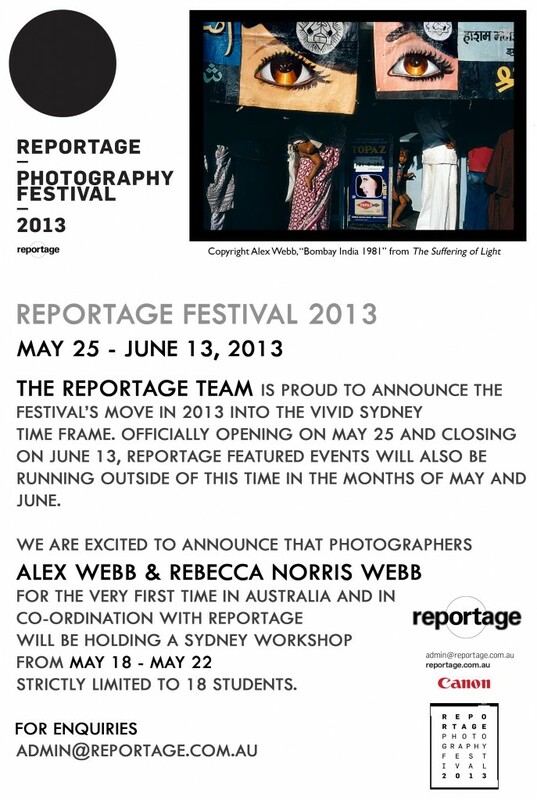 For those passionate about photography and in or en route to the great land downunder REPORTAGE festival is simply not to be missed. There is a great local and international contingent of photographers exhibiting their work, outside projections, workshops and much more to be enjoyed. Visit the REPORTAGE as further exhibitions, projections and festival events are confirmed and announced!